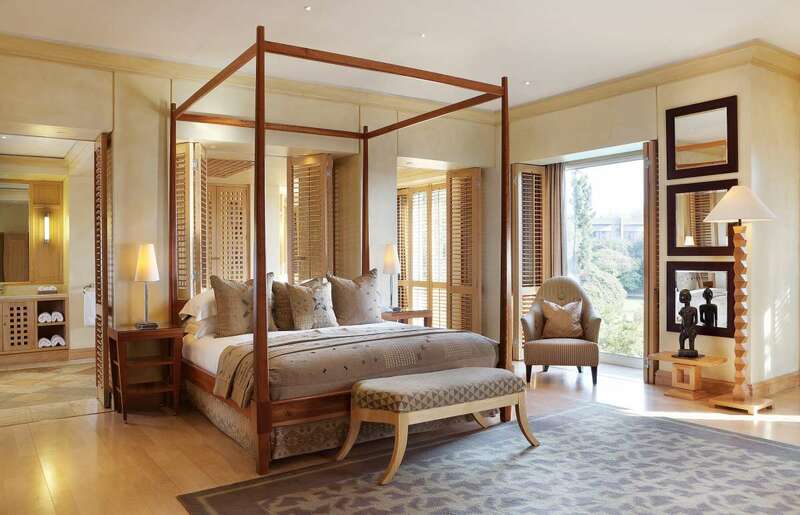 Guests who like their hotels to have a special frisson will love the fact that Nelson Mandela used to come here to relax and finish his autobiography A Long Walk to Freedom. The Saxon was then the private home of his friend Douw Steyn. Today it is a five star luxury hotel but it is still owned by the same man and still retains that ambience of a warm welcome inside a haven of tranquillity. 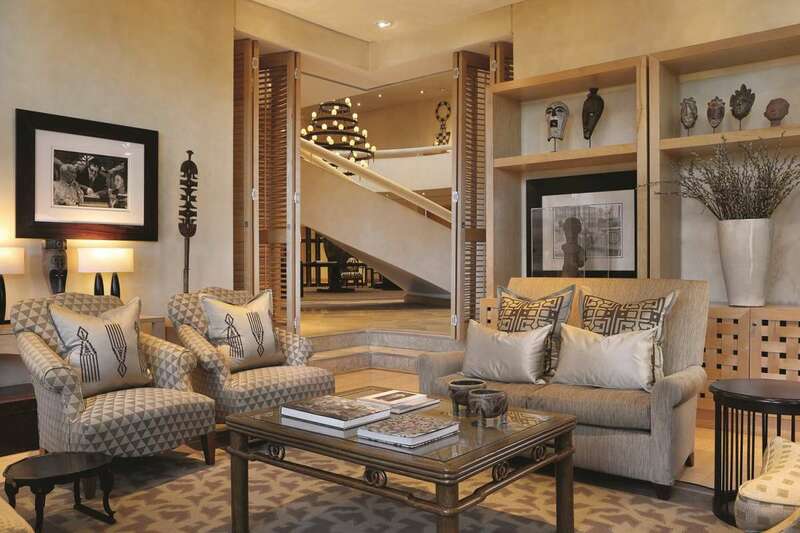 Set in the safe and leafy Johannesburg suburb of Sandhurst, its other famous visitors have included Oprah Winfrey – one of the lounges is named after her – and the Clintons. The style is modern glamour with traditional touches. 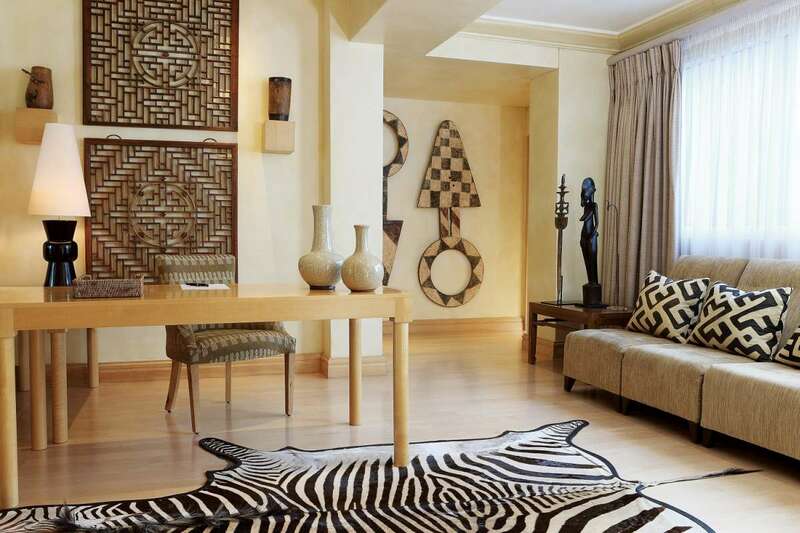 The foyer, for example, has a Hollywood style double sweeping staircase and a spectacular chandelier but is also adorned with African art and artefacts. The whole hotel and its lovely ten acre gardens, in fact, are used as a showcase for more than 250 pieces of African art by both established and emerging. From July the hotel will be all suite, 25 in total plus three separate villas connected to the main building by a high level glass walkway or reached by private elevator from the underground car park. 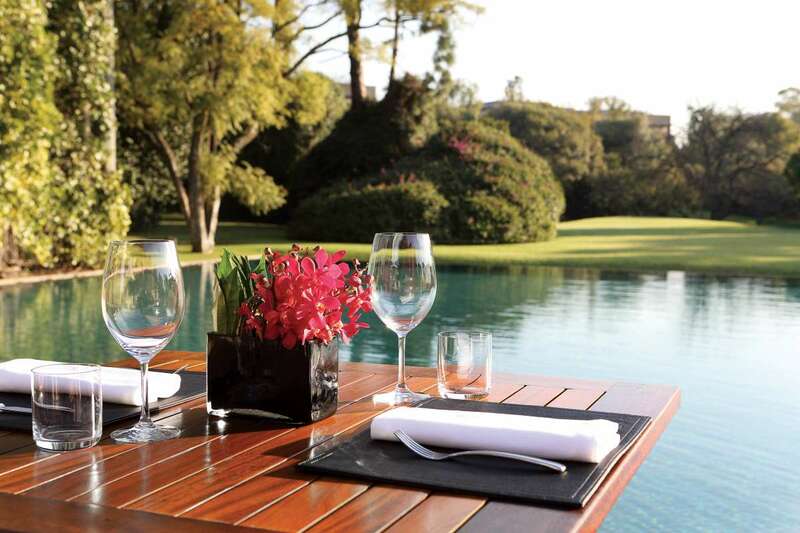 Each villa has its own lounge and dining area with a bar, a private plunge pool and terrace. The decor in all rooms echoes the theme of ultra modern – over-sized bathtubs, huge beds and such high tech facilities as wifi, DVDs, LED tvs and ipod docks – combined with a more ancient vibe: soft muted bushveld colours, handwoven baskets, contrasting textiles and fabrics. Views are of the grounds or the city skyline. There are baby-sitting and childcare services but the hotel is probably best suited to adults, either on holiday or on a business trip. 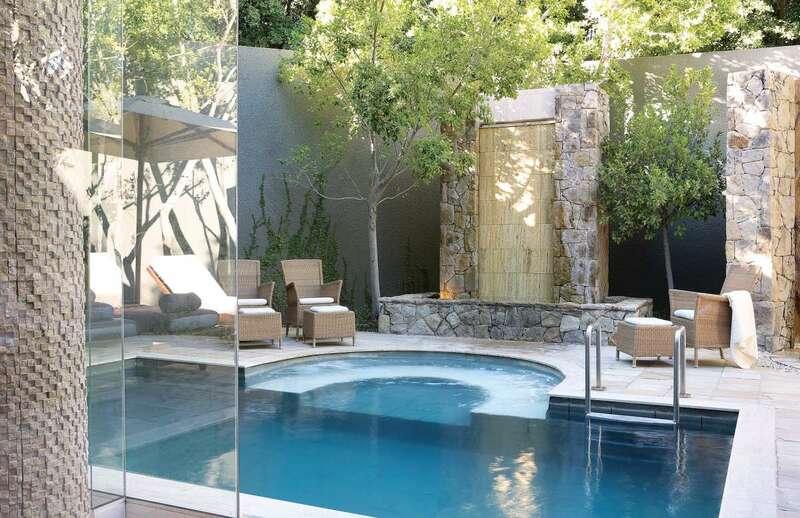 There is a lovely spa with plenty of natural daylight and outside spaces. I tried the signature facial with its two masks, the first rubbery one for skin analysis, the second plaster one to help the skin absorb collagen. It was a rather strange experience but I did like the effect. I also had the wonderfully relaxing sound therapy which uses the vibrations of different sized brass bowls to calm and soothe. 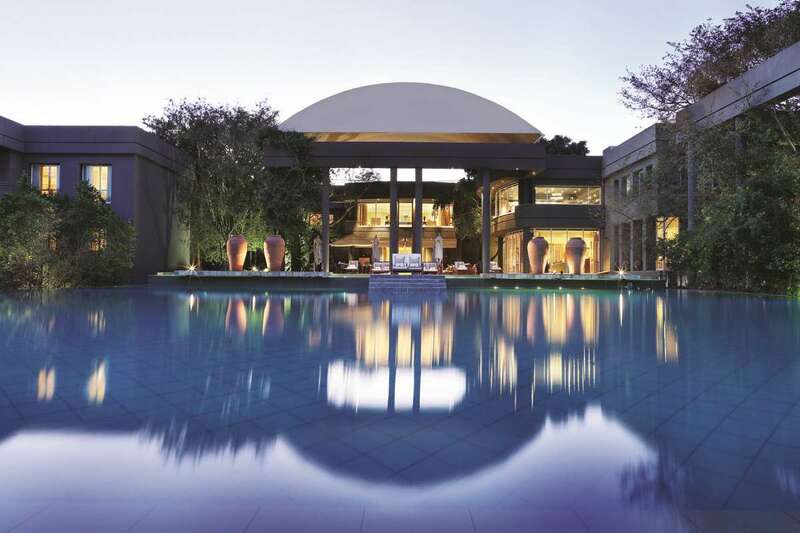 There are six pools, including an outdoor heated pool with underwater music and an impressive infinity pool. There is also a fitness centre and an outdoor tennis court. There is a cigar lounge where guests can smoke fine cigars and enjoy single malts. We ate very well indeed from the wide choice of hot and cold dishes at the breakfast buffet through lunch and dinner both at the Qunu restaurant which specialises in grilled meat and fish and the 500. This is award winning chef David Higgs’s imaginative interpretation of his country’s food, much of which is inspired by the produce from the hotel’s roof garden. The hotel claims to have five of the country’s top sommeliers and its cellars have more than 600 bottles from around the world. The Saxon is 20 miles from the international airport and has easy access to the city centre. It can arrange chauffeur driven guided sightseeing tours for those who want to learn more about Johannesburg’s momentous history and its current vibrant revival.